I did it! I reached 100 blog posts!! In a way, it would have been nice to make this one a little more special, but on the other hand, what is more special than a delicious home-made meal, made in 5 minutes? I decided to make this dish because when I went to the supermarket, my absolute favourite mushrooms, Pfifferlinge, or chanterelles, were on sale. Also, although I normally turn up my nose at anything pre-made or pre-cooked, the mini pork-filled tortellini looked delicious. Work has been quite hectic lately, so when I saw the 1 minute cooking time, I was sold. I based this recipe a little on the creamy gnocchi I made last year, but nonetheless it tasted quite different. I loved how easy it was to put together, and the flavours were really outstanding, particularly due to the addition of wholegrain mustard. I used pork tortellini, but you could use just about any kind! Cook the tortellini according to packet instructions (mine simply had to be put in boiling water for 1 minute, then drained). 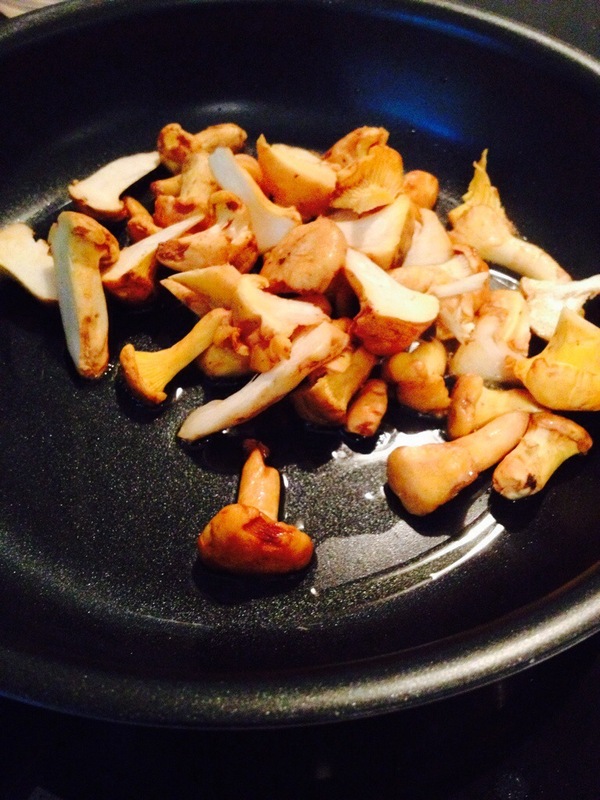 In a small frying pan, heat the olive oil and fry the mushrooms. After 1 minute, add the pine nuts. After another minute, add the mustard, pepper, garlic, Creole salt and lemon juice. Stir slowly and add the water, chicken stock and cream. Mix thoroughly before adding the spinach. 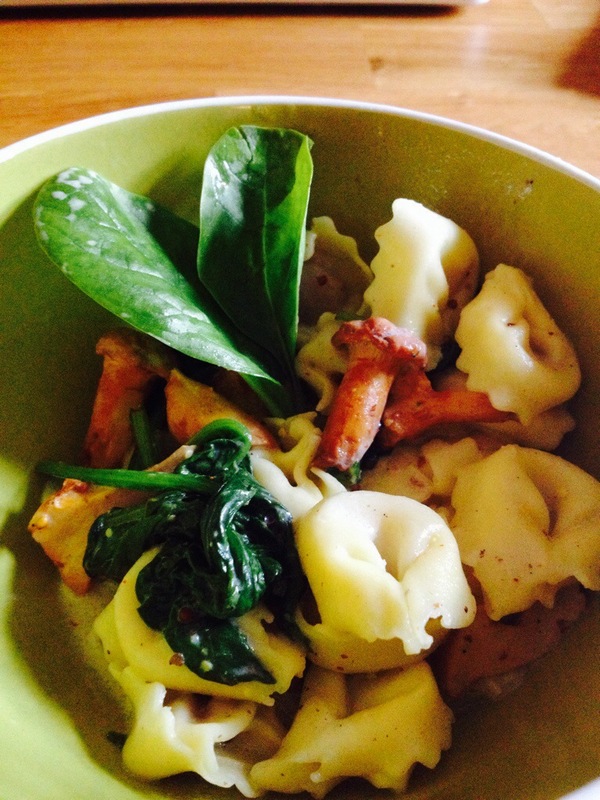 Once the spinach is slightly wilted, add the drained tortellini and mix. Serve! You could also add some grated Parmesan on top if you like. En Guete! That’s what I love to hear! 🙂 Thank you!